In celebration of Darwin’s birthday we are introducing a yeast strain into a new environment and testing the results against the standard yeast champion to see what happens (other than bread). So we tried it! 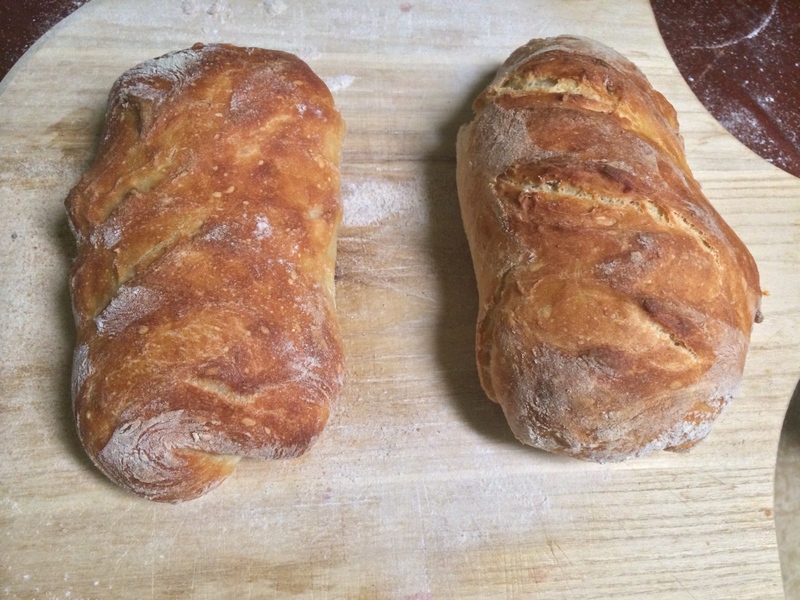 We made two, half-batches of the Master recipe in “Artisan Bread in Five Minutes a Day “. However, what bread lover can really complain about two loaves of fresh bread? The two fresh loaves. Champagne yeasted loaf is on the left, regular yeasted loaf on the right. The dough was used in a very fresh state (right after its initial rise), while the recipe normally recommends refrigeration for several hours. In this trial, the yeast that has been selected traditionally for use in breads won by a 3-0 margin. However, we are interested in how the dough might change as it ages. 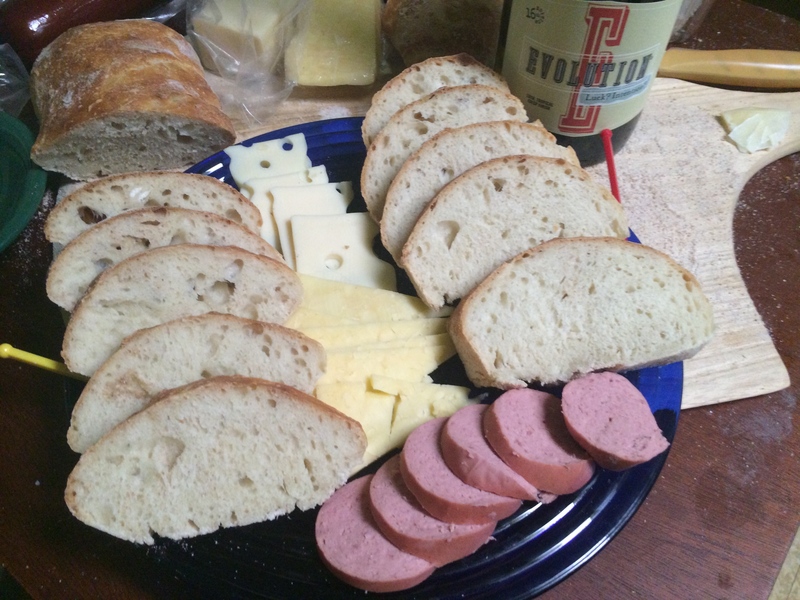 The slices on the left (marked yellow) were made with the Champagne yeast, and the bread on the right (red) was made with the traditional yeast.